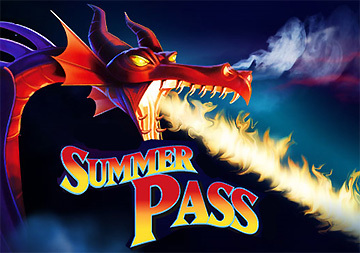 Disneyland Summer Pass 3 days for $36 per day! Disneyland Summer Pass Offer – 3 days for $36 per day! http://ping.fm/6JBZo Southern California residents get a cool deal! Starting June 11, the Summer Pass lets you play for 3 days in either theme park each day for just $108 â€” that’s only $36 a visit! * Come see the latest and greatest the parks have to offer. And from June 11 to August 29, 2010, you’ll be thrilled by the nighttime spectacles that are part of Summer Nightastic! For more flexibility, there’s the Summer Pass Plus, which provides 3 days at the DisneylandÂ® Resort, including visits to both theme parks on the same day, all for $129**.